Spain's most important Fishing Port more fresh fish comes in here than anywhere in the world! A selection of different local tapas like Cheeses, Peppers, Tortilla, Empanada Pie, Mussels, etc..
You will learn about the different wines from Galicia. 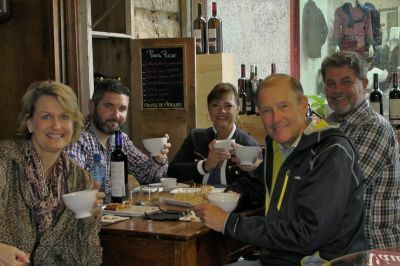 On the this wine & tapa tour you will visit some of the emblematic taverns/bars/vinotecas of Vigo´s Old Quarter. 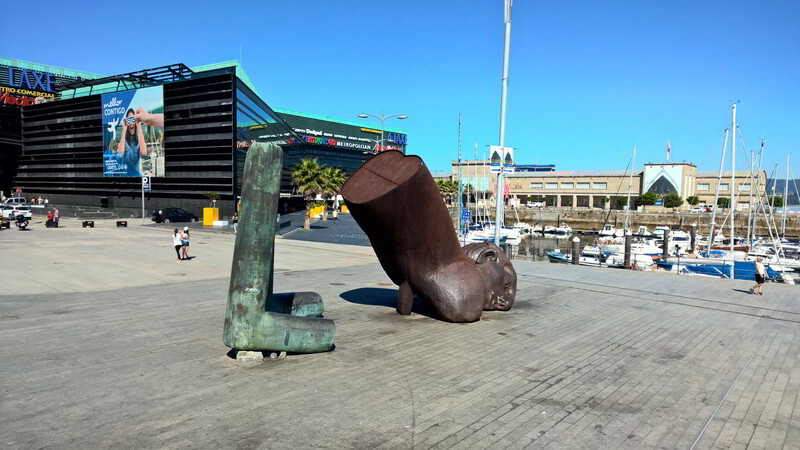 Your Food & Wine Guide will meet you at your hotel in the city centre or at your cruise ship on the Port of Vigo. An excellent option for those who would like a lunch or dinner tasting various Galician fine wines and tapas. Vigo is the largest fishing port in Spain which boasts for the best seafood in the world! Due to the mild climate of the Rias Baixas it is a region that has all the ingredients for a top quality seafood. The 1st stop it will be in a small traditional artisan store/bar only with selected artisan wines, cheese, and other gourmet canned food. We will have some Galician cheese and crab pate long with selected wines eg. D.O. Ribeiro white (Treixadura) wine and D.O. Ribeira Sacra red (Mencia) wine severed in typical tazas (ceramic bowls). Going deeper into the old quarter we will stop to see the Co-Cathedral of Santa Maria de Vigo from the outside then stroll on to our next stop at the old fish market area of A Pedra where the Oyster ladies are lined up selling fresh raw oysters. Here we will stop at a restaurant famed for its rice dishes with fresh seafood from Vigo Bay. Fishermen’s Seafood Rice with Clams, Mussels, Squid, Prawns, etc. Accompanied by a different D.O. Rias Baixas white (Albariño)wine from the Condado de Tea sub-zone. Our last stop will be at a Vinoteca/bar specialize in Galician wines. We will have try another Galician wine this time from the D.O. Valdeorras white (Godello). Here we will have some other local tapas along with our wines. 02:30PM-03:00PM APPROX or 10:00PM-10:30PM APPROX: : Tour ends at the last tapa stop which is right near where the tour commenced. Other starting points available on request like hotels in city centre. The tour will end at the last stop which right on the port of Vigo.